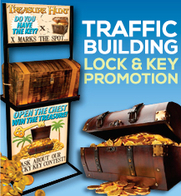 Trade shows are terrific opportunities to reach new customers but everyone else there is trying to do the same thing. Business promotion in this type of high-competition environment requires special planning to be sure you get your message to the crowd. 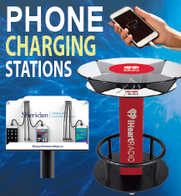 Ideas4Events offers many different event marketing products for car dealership promotions, trade show marketing, bank marketing, casino event marketing, and more. 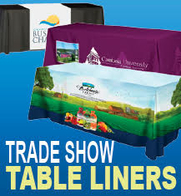 We’ve helped hundreds of company’s trade show booths stand out from the crowd at busy trade show expos with our host of unique trade show marketing products. What makes your product better than the competition? It might be price, quality, unique benefits, or something else. Think about how your product differs from other similar products. The difference must be meaningful. Saying that you offer blue widgets when everyone else offers red ones isn’t going to interest most customers. Saying you offer the same product for a lower price is going to get more people’s attention. Each venue is different and potential customers are dictated by the type and location of the trade show. Promotions should vary based on age, income, and other characteristics of the crowd. Marketing for trade shows in Miami might require different techniques than shows in Denver or Seattle. Sales promotions that work at a health fair might flop at a baby expo. 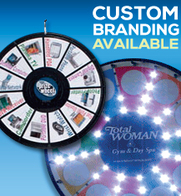 Every venue is different and by customizing your trade show promotions you realize greater marketing success. With a product focus and a target buyer in mind, create a message that synthesizes these ideas. For example if your product’s best features is its budget price, it might be attractive to both college students and retirees. Yet it’s going to be difficult to find a message that appeals to both groups. 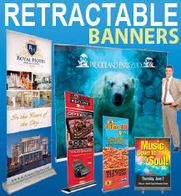 Instead, customize the message in your trade show promotions to appeal to the particular demographic of this show to grab their attention and bring in more customers. The best trade show promotions are fun. 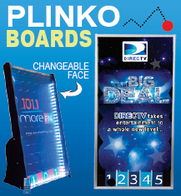 Now that you have a clear message, consider your budget for the show and make a list of entertaining promotional options. Once you’ve defined a unique niche, established your target audience and developed your message, you’ll need a way to attract visitors to your booth in the crowded trade show expo. 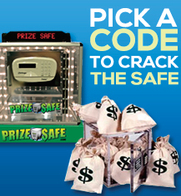 Across the board, one of our most popular event entertainment products is the Money Machine or Cash Cube. Contestants step inside the Money Machine booth and have a certain time to grab as much cash or as many store vouchers as they can. The Money Machine creates excitement which attracts people who wander over to see what all the excitement is about. 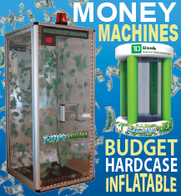 We offer a variety of models to fit your budget, from high-end hard case money machines to less expensive inflatable money machines to budget Money Machines and table top Money Machines that contestants reach into rather than entering. Maybe consider one of countless other options from the old standby, the pen with your company name on it, to digital portrait painters to entertaining robots. 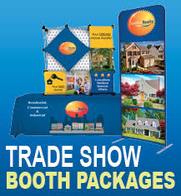 By considering your product, your customer, and your budget you can find the ideal trade show marketing idea that gets the most attention.